SNAFU! : 17-year-old Lepa Radic before her execution in 1943. 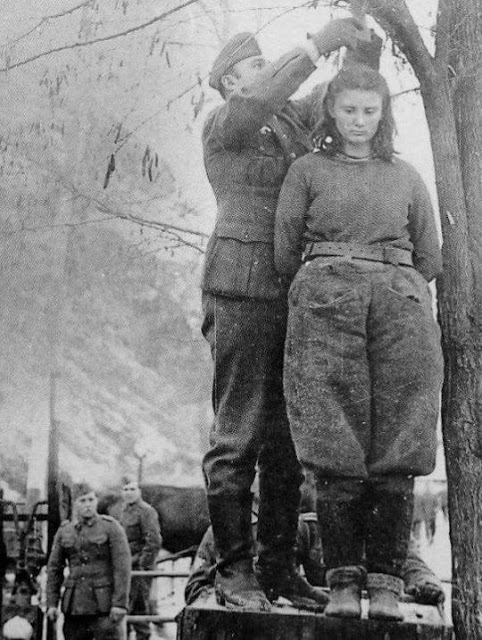 17-year-old Lepa Radic before her execution in 1943. 17-year-old Lepa Radic before her execution in 1943. When offered her life in exchange for information about her partisan unit, Radic responded with “my comrades will reveal themselves when they avenge my death”. I here people talking about being brave because "they embrace their real selves" and that they "talk truth to power". This is real bravery that is awe inspiring. This was a brave woman.